If your business is online and you’re not willing to produce new content, you’re not going to be around for long. Like a sales team without a pitch or an advertisement without a message, an online business without content marketing doesn’t get recognized. 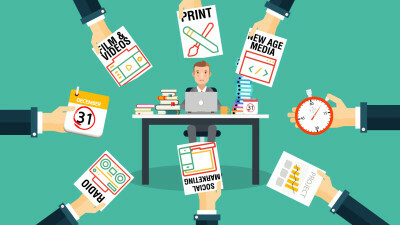 Content marketing is a marketing technique of creating and distributing valuable, relevant and consistent content to attract and acquire a clearly defined audience–with the objective of driving profitable customer action. What makes great content and how can you prove it? Let’s address the problem head-on! The biggest problem with any content creation as a form of marketing, is that the whole process seems slow. Even when it is published, how can you tell if your content is any good? How can you gauge that it will be effective? The way people become customers and buy from you has changed significantly over the last decade. No longer are sales people the gatekeepers of information. People can research and learn everything they need to about an industry or product well before they come to make a buying decision. Your customers are reaching out to you much later in their buying cycle and closer to their final decision. It’s no longer about waiting for them to come to you for advice. You need to share and give away more than ever in order to build trust and show you know what you’re talking about. On top of all that, you’ve got more businesses to compete with. Not just within your industry, but online. How does your business produce stuff that stands out? Why doesn’t it work now? The majority of things people write is simply boring, bland content. The biggest reason that businesses struggle with content marketing isn’t necessarily because they can’t create it. It’s because what they create is dull. Here’s the cycle. 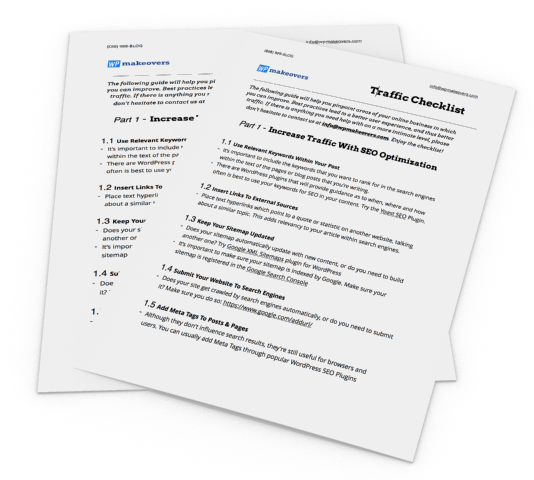 If we produce a few blog posts for our blog and share them out, we’ll drive a little traffic to our site. If the title of the social media post is boring or unclear (another massive problem content faces), it’s not going to drive a lot of traffic. The little traffic the post does attract, lands on the post, but because the copy is dull, people don’t read on. If they don’t read on they won’t sign up to a newsletter or email lead magnet. That means we don’t capture many leads. Those leads we do capture are sent the same boring content, so they just don’t engage with us and convert into customers. Instead, you need to really work hard at getting every line and word to compel readers to move to the next paragraph. Keep sentences tight and short. Use explosive and informative titles that clearly explain WHY something is important to read. If you only want to produce safe, dull content, then that’s fine. But you’re never going to get better customers with it. There is no clear link between your content and the next steps. Let’s say you start getting more traffic because you’ve improved your titles and social posts. Your posts are now great to read and you can see more people visit for longer and your shares are up. How do we convert people that read a blog post into leads and email subscribers? They’re not going to just call you up straight away to buy (well, they might – if your posts are that good). Chances are you’ll need to place a lead magnet and email capture in front of them that’s RELEVANT to what they’re reading on the post. For example, if you’re a car dealership. You might have written a great post on keeping your brakes safe during winter. Everyone who reads that post is obviously interested in keeping safe, and their brakes. By offering the next steps as – “would you like us to check your brakes” or – “view this 15 point video to check your own brakes” – you are offering something specific to and relevant to that post. It’s not that content marketing is hard to measure the results from, it’s that sometimes it doesn’t produce the results you’re expecting. That isn’t to say the whole system doesn’t work. It means that you’re not producing the right content for the right audience yet. Your business needs a clear step-by-step process for producing, promoting and measuring your content marketing. And we might just give you that below. So how do we crack the “content marketing” code? Let’s take a look at how we produce a smart content marketing strategy for our business, and how you can do it for yours. What’s the 3 step process? We have a simple 3 step process to our content marketing that has increased conversions measurably. We don’t worry about the final core product sale when traffic lands on a blog post. We look at what makes sense to sell to them. By having a topic that we focus on for a 3 step process, for example “car brakes”, we look at the most common questions and problems that people face. We’ll produce open, free blog content for this part. This is step 1 of the 3 step process. Next, we’ll ask “if you’re serious about [problem] or [benefit], then you need to watch [this]”. This is our call to action. This is step 2 of the 3 step process. We offer something for people who are serious about the benefit or problem that people are facing – specifically because they’re reading that blog post. For example, it could be like we talked about above, a video on checking your own brakes or a free brake check if you come in. The point is that we offer something specific and relevant to our readers so they understand what the next step is. We make sure to protect it with an email sign up or lead form so we can market to them later. Finally, step 3 of the 3 step process is to say “while I’m here, why don’t we…”. Think of the reader who has checked up on their brakes, then decided to bring it in for a free checkup. Or the reader who signed up to the free brake check video. Asking them “while you’re here…” or “while I’m with you…” is the best way to make a logical sale. It doesn’t have to be a huge amount. We’re just trying to get them to buy from us so they overcome their fear of using their wallet with us. What’s the next logical step to sell to the customer? What’s the end of the question “while I’m here why don’t we…”? We also like to share more content with them while they’re a lead via email marketing. It’s time to start Email marketing. Really though. Start. Email marketing can massively improve your conversions. It builds trust and can run entirely on automation. That means, it happens while you sleep, when you’re hungover, when you’re riding your bike, when you’re on an airplane, or in the bathroom. Or both. Typically we use the below flow for our email marketing. Content marketing thrives on variety. You don’t just have to write blog posts to share. You can produce different types of content for different purposes. The truth is that most of the time the delivery method itself is NOT what people are interested in. But it does matter that you vary your approach in order to appeal to different methods that people consume. You can even ‘re-purpose’ content by turning older blog posts into some of the other methods below. For example, taking the same content in a blog post and doing a video piece to camera on the same subject. Video. Don’t underestimate how powerful video is to the content marketing part of your business. If you’re camera shy, you can get animations done or do a voice over on some slides. PDF. Compile together older blog posts into a longer ebook, or write up a process to giveaway. Slides. Either as a webinar, recording or just delivered, slides make a great resource for customers. Presentations. If you get the chance to talk live, record it and use that as content later. Infographics. Really great to share and easy to reverse engineer, everyone loves infographics. We absolutely love content marketing. It’s a core component of our sales process and we’ve found it to make our lives much easier. All you really need to worry about is how you can help people. Just focus on that, and producing content that proves you’re useful to your customers. We often hear “if I give away too much, customers will just do stuff for free and not use me!” While a small percentage of people never will buy, it’s no different to ‘lookey-loos’ coming kicking tires, or wasting your time ‘picking your brains’ on the phone. Content marketing is like a restaurant. Sure, seeing the menu and even the recipe is nice, but a really interested person wants it done for them. If you’re serious about content marketing, make sure you check out our email marketing guide. It’s a core component of content marketing and shows you how to get more leads to convert into customers on automation.